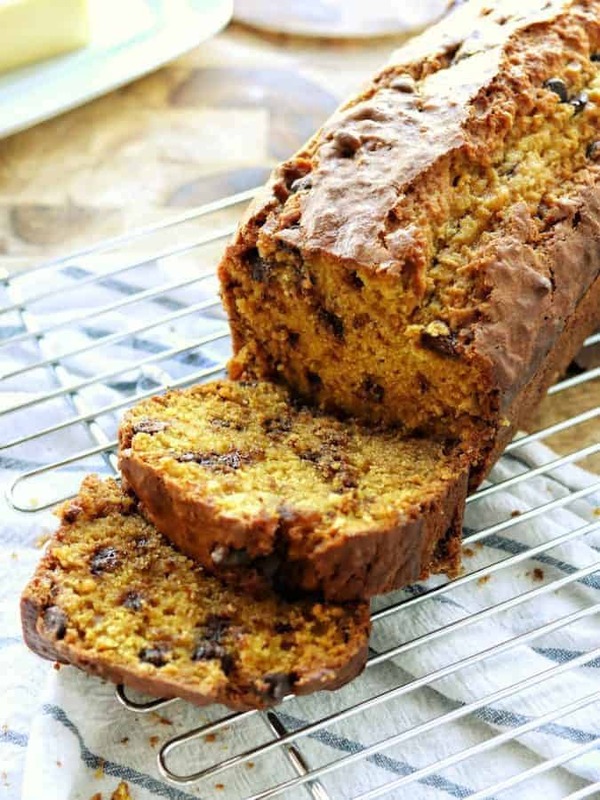 The BEST Chocolate Chip Pumpkin Bread packed with chocolate chips and delicious fall flavors. Pumpkin bread is perfect for busy mornings, after-school snacks, dessert or for your next family gathering. This page contains affiliate links. If you purchase a product through these links, the cost is the same, but I receive a small commission which helps maintain this blog. Thanks for your support! 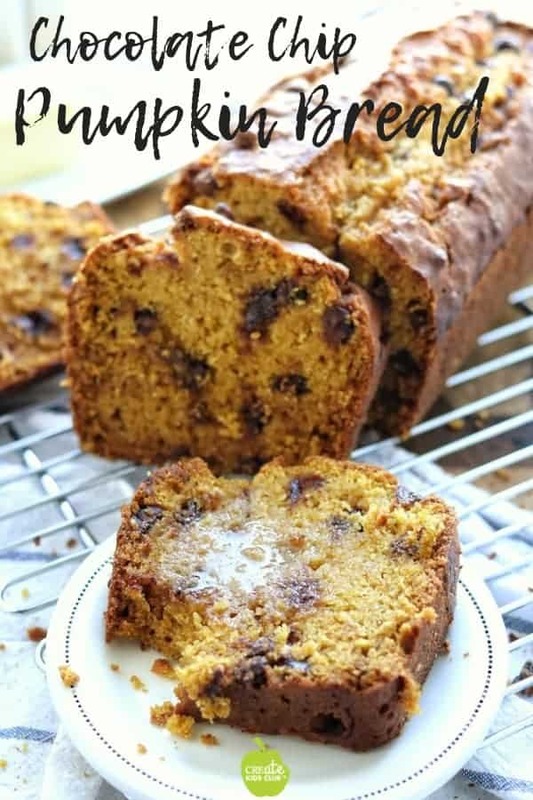 Chocolate chip pumpkin bread with canned pumpkin pie mix is absolutely out of this world delicious. 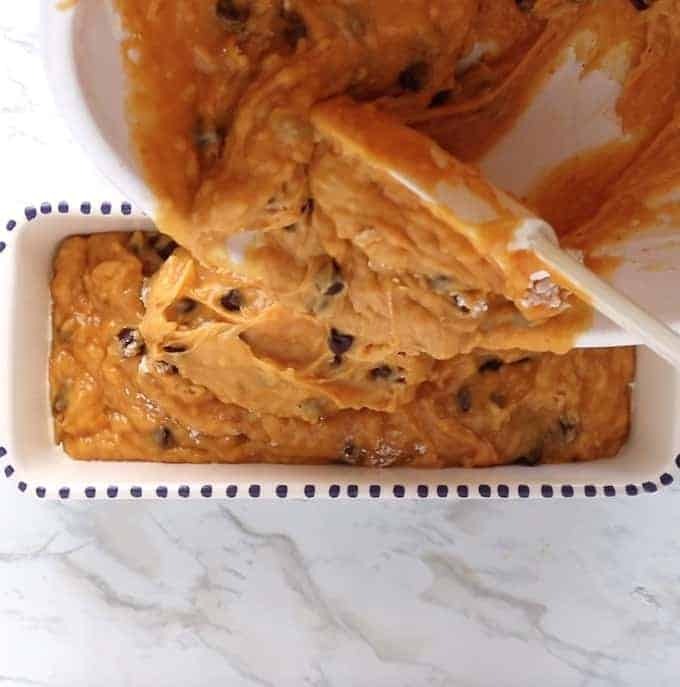 I have been on a mission trying to recreate my families favorite sweet treat – the Chocolate Chip Pumpkin Bread from Great Harvest Bread Co. While my kids love my Blueberry Muffins and Bran Muffins, I still pick up a loaf of this spiced bread more often than I should admit! My kids adore it and the store is located directly across from their school. 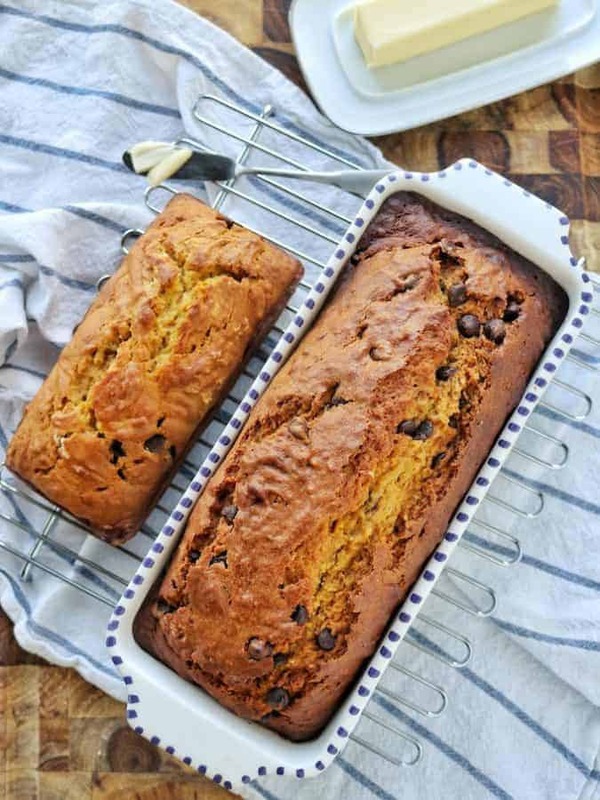 It was time that I figure out how to make pumpkin chocolate chip bread from scratch at home. 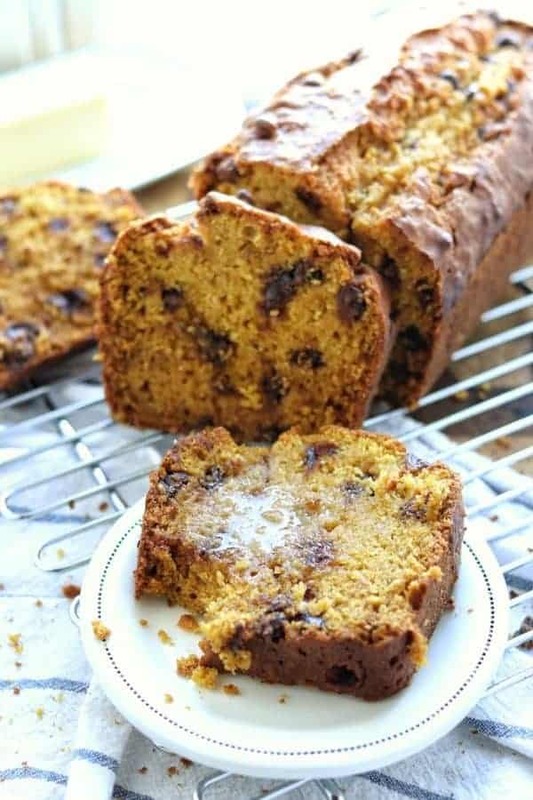 Keep reading to find out exactly how you too can make this chocolate chip pumpkin bread recipe at home. Kitchen Tip: Pumpkin bread works great as a leftover canned pumpkin pie filling recipe to use up leftovers during the holidays. Prepare two 9×5 bread pans with non-stick cooking spray. In a medium-sized bowl, combine the wet ingredients including sugar, eggs, oil, vanilla, and pumpkin pie filling. In a large mixing bowl, combine the dry ingredients including flour, salt, and baking soda. Pour the wet ingredients into the dry ingredients and stir until slightly blended. Add the chocolate chips and blend until the dry ingredients are just incorporated into the wet ingredients. Pour into prepared loaf pans and bake for 50 – 60 minutes or until a knife inserted into the center of the loaf comes out clean. Let cool for 10 minutes before removing from pans. Keep reading for full instructions on how to make pumpkin bread or watch the step by step video! Start by grabbing a medium-sized bowl to combine all of the wet ingredients. Sugar is considered a wet ingredient. Pro Tip: Dissolving sugar into wet ingredient inhibits the gluten-forming proteins. It helps prevent a tough, chewy end product. 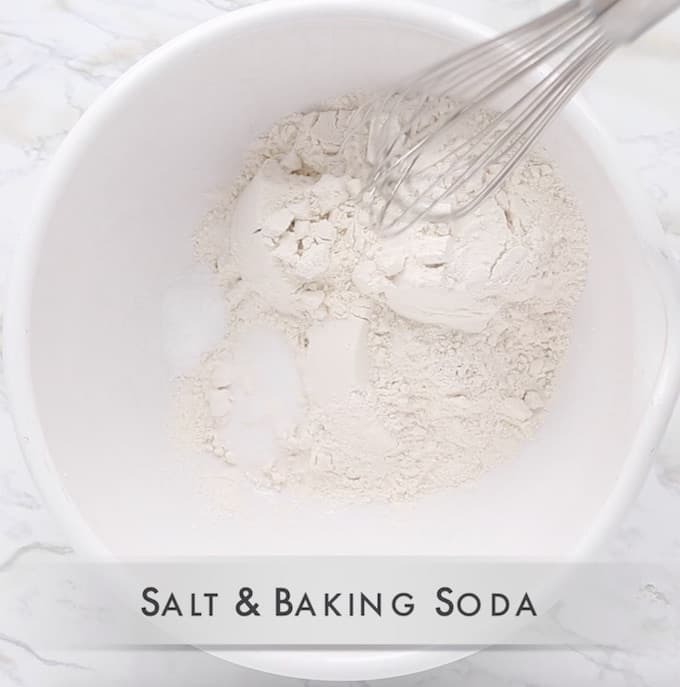 In a large bowl, whisk together the dry ingredients including flour, salt, and baking soda. 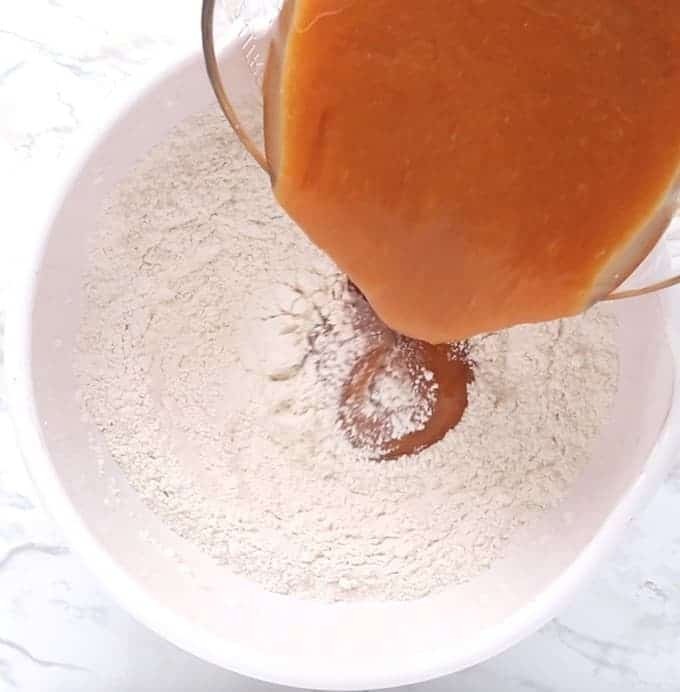 Pro Tip: Mixing the dry ingredients by themselves helps evenly disperse the raising agents, spices, etc throughout which is important for an even batter. Add the wet ingredients to the dry ingredients, stir until just slightly mixed. Pro Tip: The less you mix, the less gluten has a chance to develop meaning you end up with a fluffier and light end product. Over mixing batters will toughen and strengthen the gluten in the flour. Doing this produces tougher bread in the end, not the light and moist spiced bread we are going for. 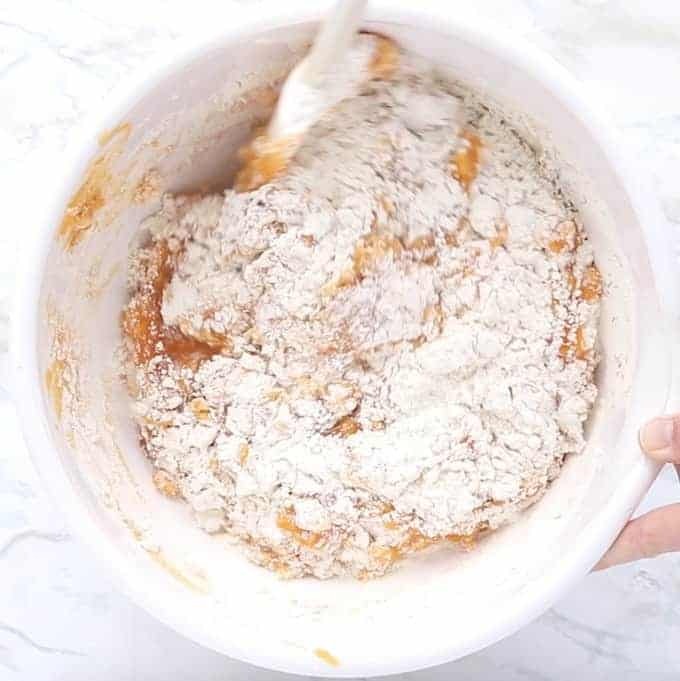 By mixing the dry ingredients together, then doing the same with the wet ingredients, you will have to do very little mixing once you combine them. 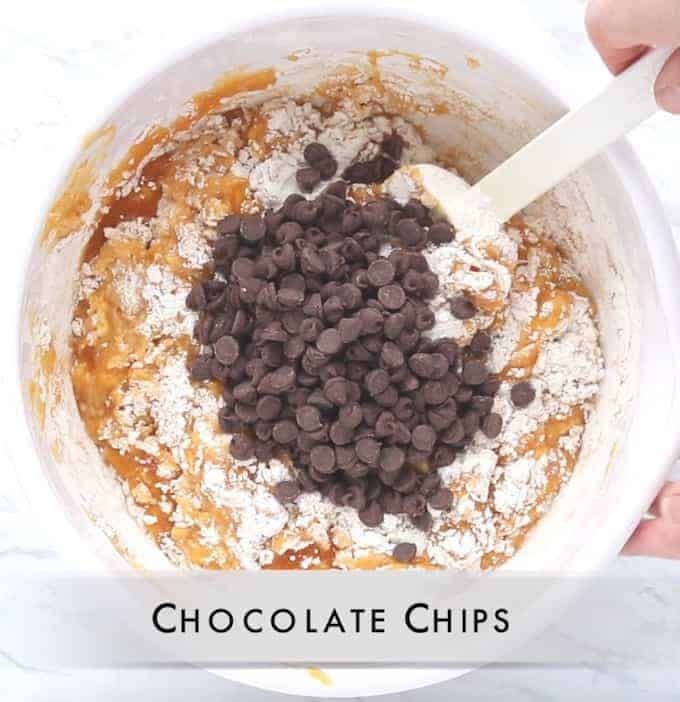 Add the chocolate chips, then finish blending – just until the dry ingredients are incorporated into the wet ingredients. Don’t over stir. Divide the batter between 2 9×5 loaf pans, muffin tins, or smaller sized loaf pans -> which make great teachers gifts! My favorite small loaf pan is this Mini Loaf Stoneware by Pampered Chef, but this steel Loaf Pan is similar. Bake for 50-60 minutes, or 20- 30 minutes if using small loaf pans or muffin tins. Pro Tip: Test to see if this chocolate chip pumpkin bread is done by sticking a knife in the center of the loaf. If it comes out clean the bread is fully cooked. If it comes out with batter still on the knife, keep cooking! Prepare two 9×5 loaf pans with non-stick cooking spray. 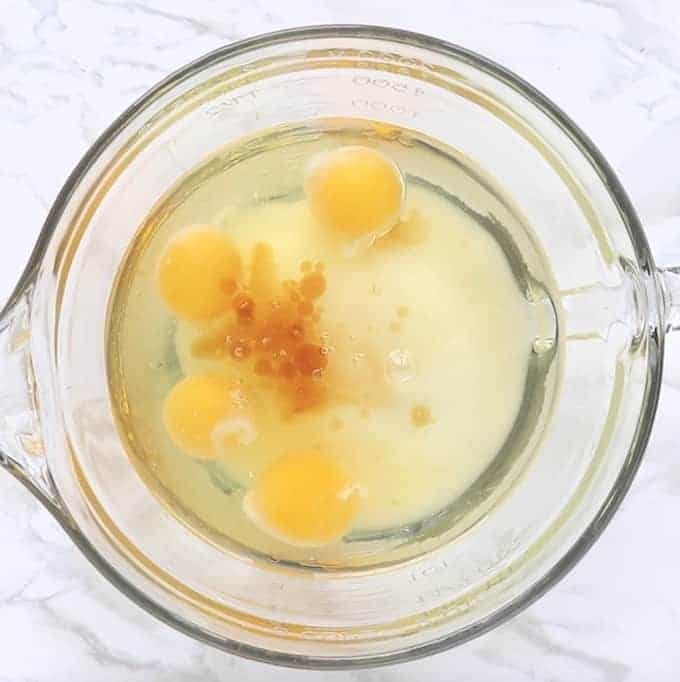 In a medium-sized bowl, combine the wet ingredients including sugar, eggs, oil, vanilla, and pumpkin mix. Add the chocolate chips and blend until the dry ingredients are incorporated into the wet ingredients. Pour into prepared bread pans and bake for 50 – 60 minutes or until a knife inserted into the center of the loaf comes out clean. Let cool for 10 minutes before removing from bread pan. If you’d prefer to use canned pumpkin add 1 tsp. nutmeg, 1 tsp. cinnamon, and add an additional 1/4 cup sugar to the recipe. Oh my gosh, the GH bread is a favorite at my house too! I can’t wait to try this amazingly delicious recipe! Thanks, Kelly! I think you will be really happy with the results 😉 This bread recipe is so delicious!